Windows phone 8 will be an operating system that brings a whole host of technologies the mobile sector has been looking forward to seeing, one step closer. According to Paul Thurrotts’s excellent blog over at WinSuperSite the news of the leak has meant that he can now talk more openly about what we can expect from the Windows 8 and the Windows Phone 8 operating system. Talking of Windows Phone 8, he also states that this new O/S will be based on the new Windows 8 kernel and not on the previous version called Windows CE, all this falls into the realms of “Windows Reimagined” and by god did it need some reimagining after various attempts to create a solid, sleek and useful operating system has essentially failed on so many occasions. Data Smart. Will switch you to cheaper Wi-Fi networks that you may have joined automatically thus in theory saving you MB’s and also money if your data provider charges a lot and you run out of your quota monthly. Internet Explorer 10 Mobile. Windows Phone 8 will use to use a version of IE which utilizes the latest web technologies. Companion experiences with Windows 8. Microsoft is offering a very similar user experience across phone (Windows Phone 8), PC (Windows 8), and TV (Xbox vNext). Pocketnow says there will be a new sync client, and not Zune PC software, though I can’t confirm that part, and a set of common cloud services that will work across all three. This includes the ability to sync content (photos, music, movies) between the three screens, phone management from PC or web, shared content between each device, and Xbox LIVE games, entertainment, and more. Camera improvements. New “lens apps” and a far more powerful camera experience. SkyDrive integration. SkyDrive will allow access to all content on your Microsoft platforms. Business features. A new angle that Windows wish to push more and more, Windows Phone 8 will include full-device, hardware-accelerated encryption with BitLocker and always-on Secure Boot capabilities, just like Windows 8. Also, it will support additional Exchange ActiveSync policies and System Center configuration settings and inventory capabilities. 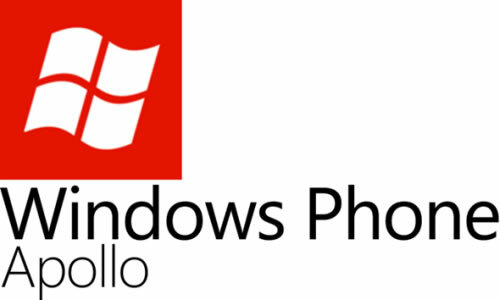 Businesses will be able to distribute phone apps privately as they can with Windows 8 apps. What do you think of this feature list? Some of it appears pretty much as you would expect from a modern cross platform operating system that will compete with iOS/Android, though perhaps some areas are starting to look quite juicy such as the NFC capability which I will return to at a later date. Your thoughts? What appeals most with Windows Phone 8 so far?